This light and bright 1-bedroom, 1-bath condo in downtown's Renaissance is the perfect place to start your downtown life, whether for housing your guests as a downtown pied-a-terre or as your full-time home. 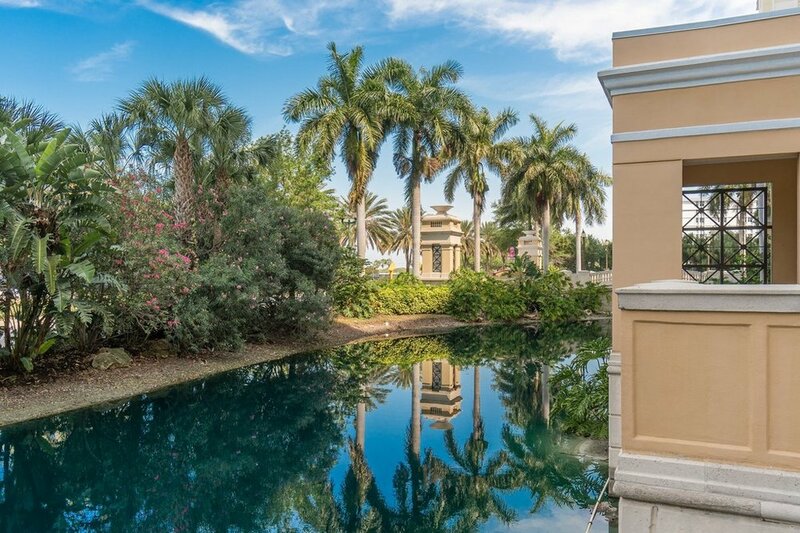 Housed in beautiful Renaissance, the condo is walkable to lively Main Street downtown, the Van Wezel Performing Arts Center, the Ringling Bridge, and the hip restaurants and shops of the Rosemary District. 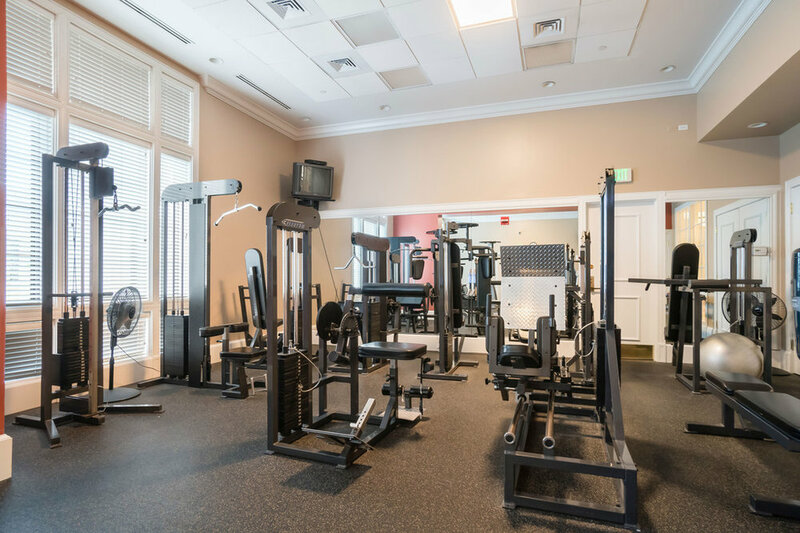 Chock-full of amenities, including a large, sparkling pool and spa, fitness center, club room, and attached and covered parking, you'll have everything you need for pool parties, relaxing weekends, and a healthy lifestyle without even leaving the building! You will love the clean city view from the open balcony, and it will also be clear how in-the-center-of-it-all you are when you gaze out at the downtown skyline! Modern light fixtures, spa-like fresh paint, and oversized floor tiles keep the look coastal and chic. This gleaming residence features a stunning open kitchen with sleek glass tile backsplash and granite bar-height counter extension, complete with a wine fridge - all perfect for entertaining friends before heading out for a show! Even the spacious bedroom has full city views, as well as access to the balcony. 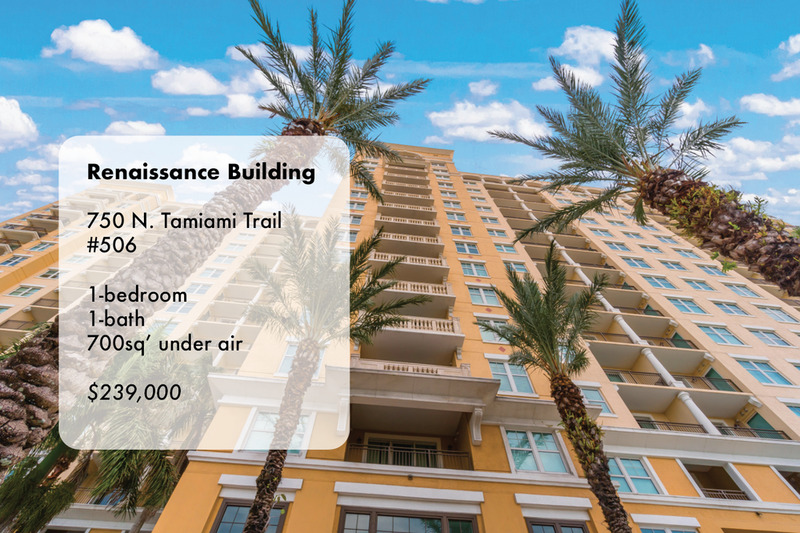 Renaissance amenities include a sparkling pool & spa, great fitness center, a recently-updated club room with catering kitchen, theater room, conference room, guest suites, and 24/7 manned security, plus this residence comes with a storage unit and covered parking spot in the attached garage - wow! Minutes from the heart of downtown, let this chic downtown condo give you access to whatever city life you desire: theater is walkable, beaches are cycle-able, shopping and museums are close at hand. Convenience, comfort, and, of course, location! location! location! Older PostThe Best at Broadway!